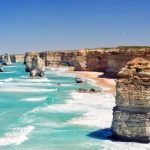 As Australians enter Spring and look ahead to the summer holidays, Amazon Australia has introduced “The Travel Store”, bringing over 40 local and international luggage and travel brands and more than 500,000 travel products to its Australian store. With recent research revealing increases in both international and domestic travel for Australians, Amazon’s Travel Store will simplify pre-take off preparation for busy travellers. 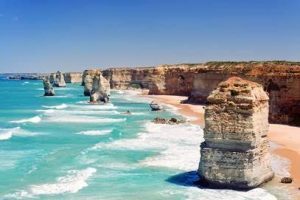 Over 2.3 million Australians are expected to travel abroad before the end of the year, meanwhile domestic travel is growing by 14% year-on-year as Aussies choose to holiday in their own backyard. Be it for family holidays, business trips, or globe trotting to far flung places – Amazon’s Travel Store provides curated lists of essential travel items housed in one location. Launching on the store are premium luggage brands Qantas, Antler, Delsey, Victorinox, Wenger, and Samsonite; outdoor and clothing retailers The North Face, Kathmandu and Eagle Creek; travel essentials from Case Logic, Go Travel, Amazon Basics and Kipling, as well as travel accessories for the family from favourites such as Disney, Trunki and RipCurl, among others. With over half a million products in the travel category alone, the Amazon Travel Store brings together travel essentials for the whole journey, with Kindles, print books and Audible audio books featuring alongside sunglasses, travel-size cosmetics, luggage tags, passport wallets and more. For added convenience, shoppers can view travel products by the type of trip they are taking, be it a beach or adventure holiday, hiking or skiing, or city breaks. Among the leading local and international brands, Amazon is also releasing its Amazon Basics range, which will feature a series of travel accessories, backpacks and luggage. The launch of luggage is in addition to the 25 categories already available to Australian customers, giving customers access to over 60 million products. Amazon launched its membership program, Amazon Prime in Australia in June of this year, bringing members in Australia access to the widest selection of Prime benefits at launch for any country ever—free delivery on millions of eligible local and international items, access to exclusive and award-winning Prime Original series and other popular movies and TV shows with Prime Video, access to over 1,000 e-books with Prime Reading, benefits for gamers with Twitch Prime, access to discounted priority delivery and more. With Prime, nearly 90 per cent of Australians have access to free two business day delivery on Prime eligible items. Customers who do not have Prime can enjoy free delivery on orders above $49 when shipped by Amazon AU. A one-day delivery service is available in select areas across Australia. Everyone can try Prime and enjoy all of the benefits by signing up for a free 30-day trial at www.amazon.com.au/prime.